To Marion,s Family sorry to hear about your loss, Our thoughts and prayers are with you all. Carol Ann; We were sorry to hear about your sister. Our thoughts and our prayers are with you and your family. Carol Ann, Orris and family: So sorry to hear of the passing of your dear sister. May God be very near and comfort your hearts at this sad time. To the Family of Marion, Sorry for your loss, Sincerely , Tish. So very sorry to hear of Marion’s passing I remember your sisters when we would visit the Hardy’s in Hunts Point. A lot of water has gone under the bridge since those days. Now it seems the water is rushing even faster. Our deepest condolences are sent to the whole family and to Marion’s good friend, Mary. Mona so sorry to hear of your sisters’ passing please accept my condolences my thoughts and prayers are with you and your family.x0x0God Bless!!! Carol Ann and Gloria, so sorry to Learn of Marion’s passing. Sorry to hear of Marions passing God Bless. Sorry to hear of Marion’s passing. Our thoughts and prayers are with you all at this most difficult time. Carol Ann, Orris and family so sorry for your loss our prayers and condolences..
Mona and family I am so sorry for your loss. My thoughts will be with you. Take care. To all of Marion’s Family. we are so sorry to hear of her passing, she was a part of our family for many years while Michelle and Marsha were growing up. So sorry to hear of Marion’s passing. Marion babysat my sister and I when we were little. I have many fond memories of her. My condolences to you all in this difficult time. 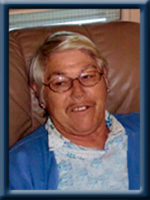 Carol Ann, Gloria , Mona and Family, We are saddened to hear of Marion’s passing. Our sincere sympathy to the family. Our prayers are with you all. Take care. Orris and Carol Ann, we want to let you know that our thoughts and more importantly our prayers are with you at this time. We are sorry to hear of your sisters passing. We trust you find God to be the strength that you need at this time along with the support of loving family and friends. Carol Ann, Orris and family. Our prayers are with you all. Sincerest condolences. We are saddened to hear of her passing. Please accept our condolences. I would like to convey a sincere expression of sympathy in your time of great sorrow. Your family is in my thoughts and prayers. Mona, I was surprised and saddened for you when I read of your sister’s passing. I’m sure you have many good memories of the bond you shared and that will help you through the coming days. Please accept our sincere condolences to you and your family. To the family of Marion,so sorry to hear of Marion’s passing .Our sincere condolences to all the family….Mike & Sandy. Leon and I are so sorry for your loss. RIP Marion. Our sympathy to all her family. We were saddened to hear of Marion’s passing. She always stopped to talk, and ended the conversation with that endearing little grin. A hard worker who was so devoted to her family. We will be thinking of you all during this sad time. and friends help you at this sad time in your life. Our deepest sympathy to all at this difficult time. Mona, I am so sorry to hear of your sister’s sudden passing. My thoughts are with you at this very sad time. Take care. Gloria, Carol Ann, Mona and families – We were very sorry to hear of Marion’s passing. Our sincere sympathy to Marion’s family. May she rest in peace. Marion`s Family – Sorry to read of Marion`s passing. We always had a chat at the Post Office daily. She would be there before I had the mail sorted. Rest in peace, Marion. Gloria, Carol Ann and Mona. Sorry to hear about Marion. Sincere condolences to all her family. To Marion’s Family It was a shock to hear of Marion’s passing. She will be missed. We used to go to Bingo a lot in Port Medway when she lived in Hunts Point. Rest in peace Marion. To Marions family I am sorry to hear of Marions passing. we will miss her. To Marion’s Family: So sorry to hear of her passing. We just spoke to her recently. We were one of the families that she did babysitting and housekeeping. Our thoughts and prayers are with you at this time. To the family of Marion,please accept our sincere condolence in the loss of Marion,am sure you will miss her greatly.Marion was a valued childhood friend that leaves us with many of great memories while growing up in Hunt”s Point.May she rest in peace . We use to go to school with marion in the port mouton consolidated she will be missed.